A little examined chapter of the life if our Last Mustachioed President, William Howard Taft, is the turbulent years before he could grow a mustache. is that really young billy taft? my, he WAS a sourpuss. nice article i love early photography and mustaches so this was amazing. But just a note the baby at the end isn't angry it's dead. Early photos could take up to 10 minutes to expose so you couldn't move. they had special chairs to support your body to make it easy and children and baby's where only photographed if they were dead. It was common practice then to photograph your dead so you would have something to remember them by. 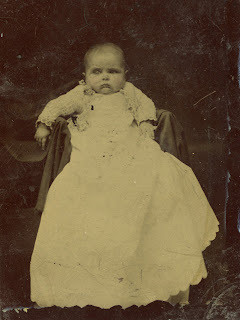 Just run a search of Post-mortem photography of the 19th century for lots of creapy photo's of dead people. Good article, read with great interest. 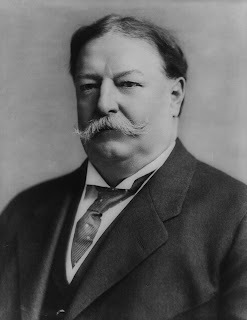 William Howard Taft has by far the best moustache of them all! Interesting fact: he used a safety razor to shave, not a straight razor. I'm working on a research project regarding John Wilkes Booth and would like to find out if he used mustache wax. It looks so from seeing his photos.